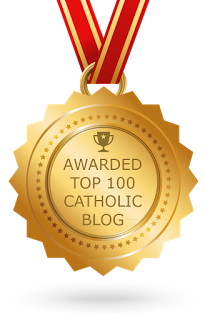 phat catholic apologetics: Am I Showing a Lack of Faith If I Take Medication? As a practicing physician, I was always saddened to see well-meaning sincere Christians struggle with depression and other mental illness because of their wrong conclusion that God should heal them through prayer, bible study etc etc. I too bought into this wrong theology a long time ago and watched my wife slowly die of cancer leaving me with two young children who didn't realize she was dying because we didn't want to "block the healing" by accepting her dying. For some reason, christians think of mental illness as a spiritual issue, and not a physical issue. To be sure, folks who live in sin and make bad choices often deplete serotonin and become depressed, however, more often than not, I treated godly people with a strong genetic predispostion to depression who suffered terribly through no fault of their own. Part of the this mindset of not taking meds, borders on christian science and gnosticism, flesh=bad, spirit = good. I used to have "hyper faith" christian patients ask me for antibiotics for their colds, bronchitis, etc, to alleviate the symptoms so they could better "believe God for the healing"
If that isn't twisted and convoluted, I don't know what is. Talk about a works mentality! But back to the subject, I pray that folks with mental illness, anxiety, depression etc, can rest in the loving arms of their Savior and simultaneously, see their counselor and get on some good safe medications! Praise Christ our King that you crossed the tiber. Good question, good answer. I'm on meds myownself and sort of thought about this but never really dwelt on it.